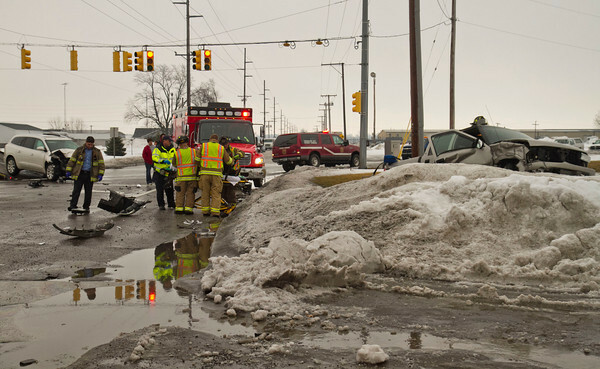 Emergency responders work at the scene of a two-vehicle crash Thursday at the intersection of Lincolnway East and Kercher Road in Goshen. The driver and passenger in one of the vehicles suffered what were thought to be non-life-threatening injuries, Goshen police said. The injured motorists, both 75 years old, were transported to IU Health Goshen Hospital.